Jeremy Hummel Live is your one-stop shop for all things Jeremy. 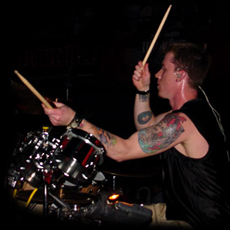 When it comes to technical expertise, Jeremy is the type of drummer seasoned musicians can sit back and admire while amateur music lovers will find themselves rocking back and forth in their seats! Check out the links below to stay up to date with Jeremy’s latest articles, audio, photos, and video!